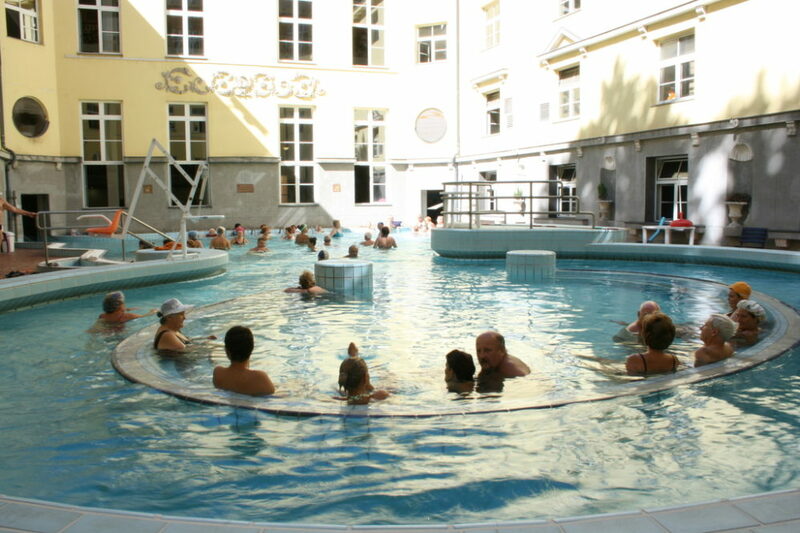 The history of using thermal waters in the territory of Hungary dates back well beyond the Roman times, as the Celts had already discovered the beneficial effects of bathing in the hot spring pools. 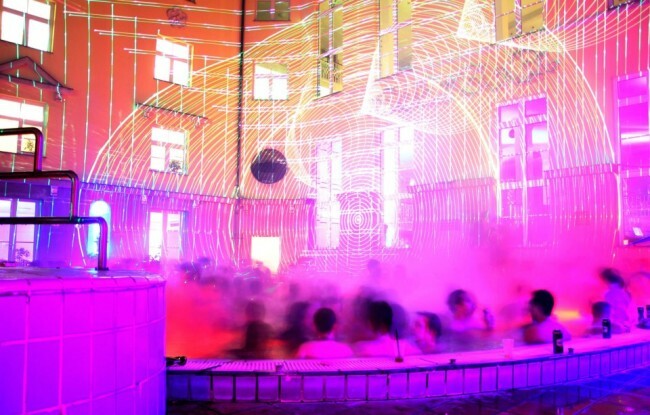 Budapest is officially known as the City of Baths also thanks to the pools of Lukacs Baths. But how did all begin? What do historical records show? The present day Lukacs Baths does not reveal much of the century old history of the thermal baths. 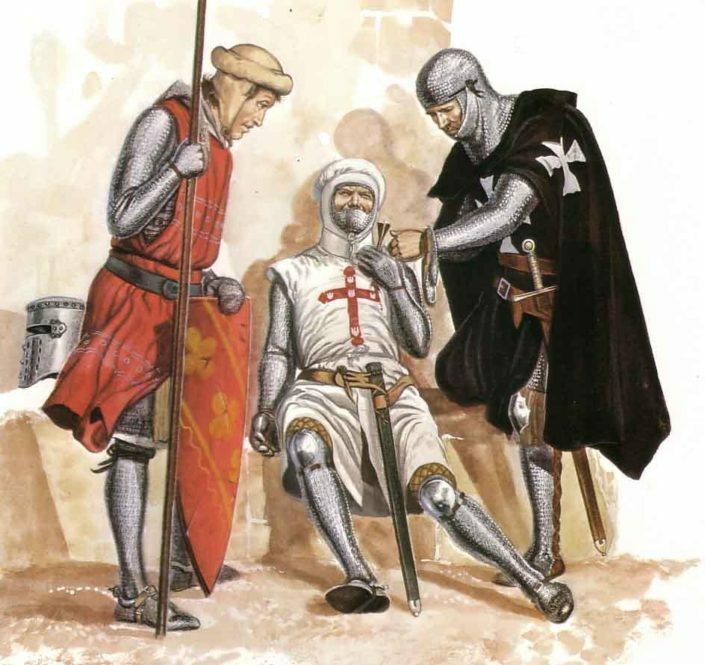 In the 12th century, the Hospitaller knights of the order of Saint John already used the hot spring waters for bathing and also curing the sick. The knights settled in the area of the present day Lukacs Baths complex. Further medieval knights, orders followed them, like the healing knight orders of Rhodes and Malta, who built their monasteries thermal baths as part of the monastery complex. The former thermal bath was also used through the times of the 16th century Turkish occupation of Buda, but the natural power of the hot springs were used basically to make gunpowder and grind wheat: during this time the bath was simply known in Turkish as Barutháne degirmeni ilijasi i.e. “the bath near the Gunpowder Mill”. You can still see the gunpowder tower today in the baths. After the Siege of Buda in 1686 when the Austrian – Hungarian military force took back the Buda Castle from the Ottoman Turks, the bath became the property of the Hapsburg Treasury. Needless to say, the bath was neglected for many decades. Its worn down facilities were mainly used as cheap foot washer and healing waters by farmers visiting the town of Buda. 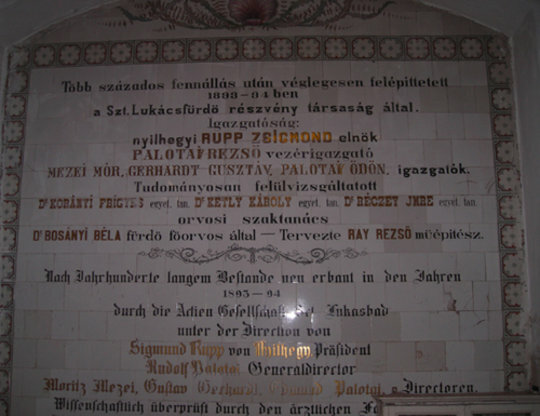 In the 19th century, Fulop Palotay purchased the baths from the Treasury in 1884 (Philip Hirschler Hungarianized his name) purchased the bath from the Treasury. 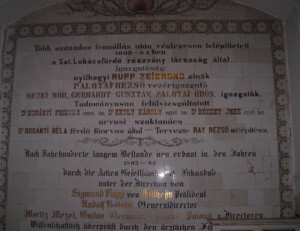 His brother, Mor Hirschler made a hug fortune by bottling and selling bitter tasting but healthy spring water, and Fulop saw the business opportunity in the new spa bath trends in Hungary. Fulop and his son, Rezso Palotay made today’s Lukacs Baths and Spa Hotel with a series of transformations as part of their private incorporation. 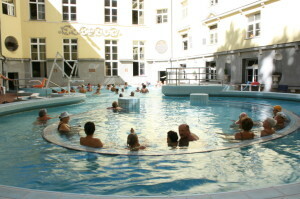 In addition to the thermal pools and the spa hotel, a modern hydrotherapy department was founded, including the only European contemporary mud pool (used until 1999), a Kneipp Pool, which is a recent innovation of a German priest for boosting the immune system, and many other clever facilities. 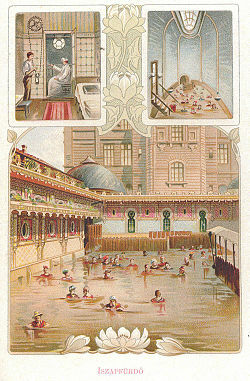 Since the end of the 19th century, hundreds of thousands of guests have visited Lukacs Baths for its excellent facilities and healing effects. 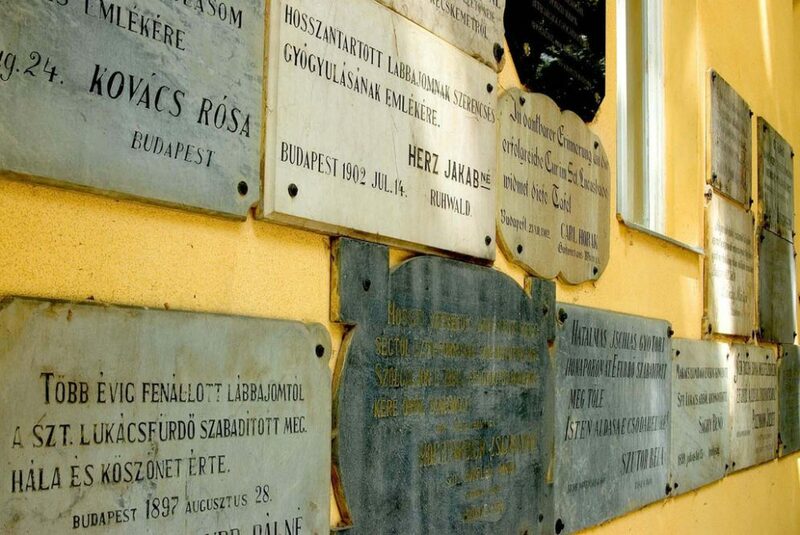 Many of the grateful guests who have re-gained their health and vigor placed “Thank You” marble tablets o­n the walls of Lukacs Bath as a token of their gratitude (many of the tablets were broken during the raids of WW2). Unfortunately, by the 1920s many of the beautiful Moorish architectural designs and ornaments have disappeared, gradually replaced by more simple and classical designs. In the 1930s further developments were made, e.g. a drinking cure hall was added to Lukacs Bath in 1937, where patients could bring their own bottles for long term drinking cures of the hot spring water. In 1946 the former medieval Veli Bej Bath (Csaszarfurdo) named after the Turkish ruler, was united with Lukacs Baths. 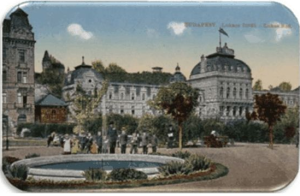 As many private properties the bath became a state owned asset (along with the major spa baths in Budapest, which are also state owned). In the 1970s, the daytime hospital was established in Lukacs Baths providing comprehensive therapeutical treatments, post-traumatic physiotherapy, and more. In 1999, the open-air swimming pools were modernized, the former mud pool for mud treatments was replaced with a thermal pool, equipped with a whirling corridor, underwater effervescence, neck shower, water massage facilities, all hidden in the seat banks of the pools. The development and modernization of the thermal bath complex is ongoing as hydrotherapy, rheumatology is making use of more modern technology and equipment (whirlpool, geysers, effervescent bed, modern water-filtering and circulation devices, etc.). The bath boasts a long list of outstanding foreign and Hungarian visitors, from Louis Kossuth to Brad Pitt, Angelina Jolie and their family.